This entry was posted on 27/11/2018 by design365. 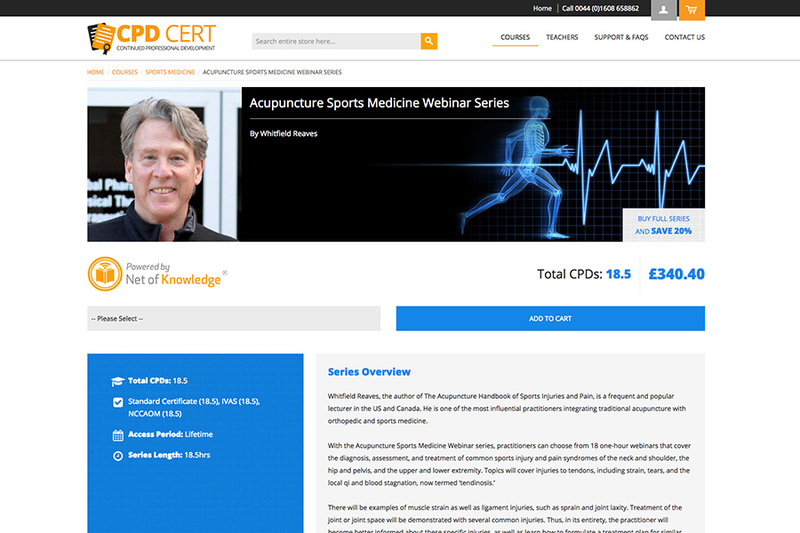 CPD-CERT is the UK branch of a network of learning portals, all working together through one central system based in Canada. 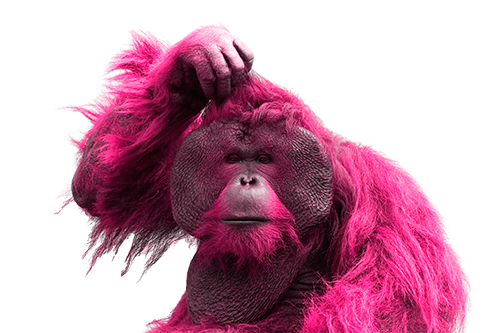 We worked closely with the team in Canada to produce a website which is totally in sync with the main source of information using API’s to automatically update information within the website. The website has been created on Magento 1.9.3.9 using multiple attributes and a lot of bespoke development work to get the systems talking to each other. 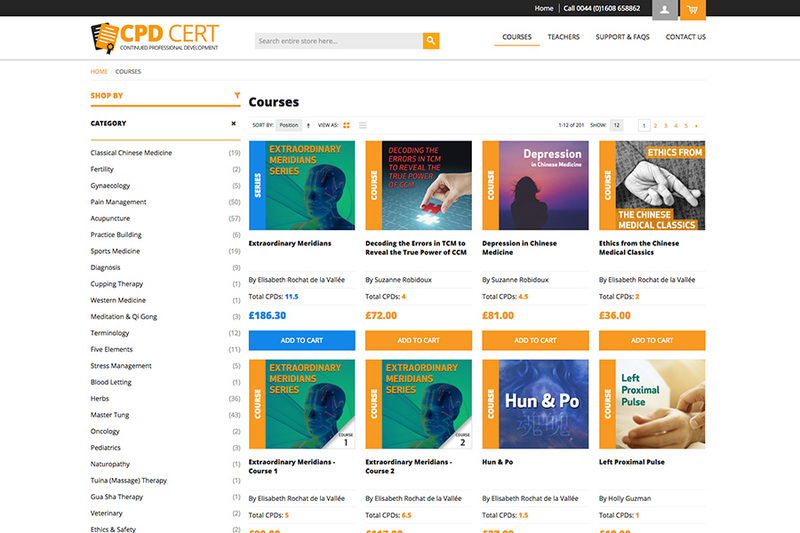 Courses are pulled across along with full course series and a directory of teachers, all of which are linked together making navigating the website easy for the customer. 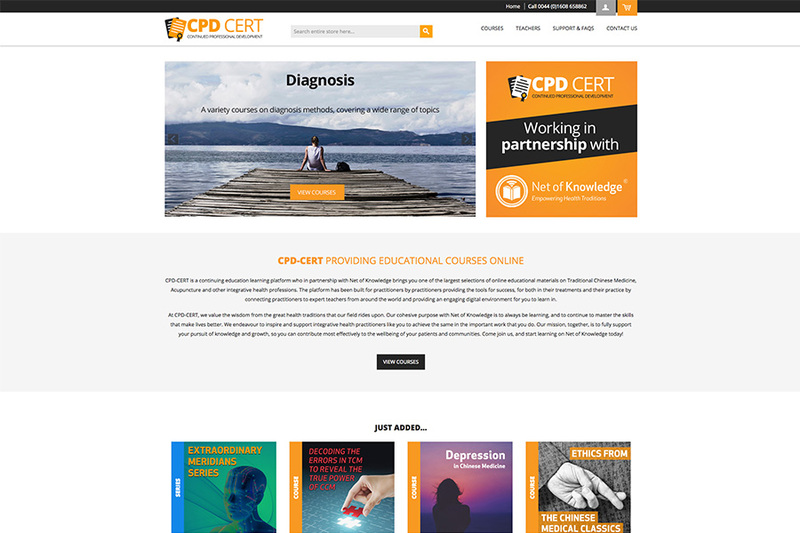 As well as producing a fresh design for the website we also create the company branding; using the company colours we designed a logo which reflects the CPD-CERT’s main service and would work well across a range of marketing material. 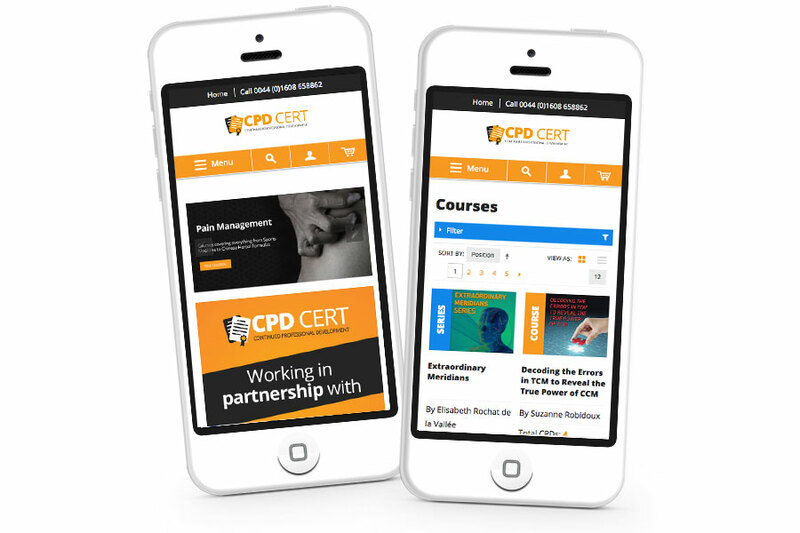 The CPD-CERT website is fully responsive for all devices and is fully GDPR compliant. We have integrated the website with PayPal for secure payments and an SSL Certificate has been added to the website to offer security to customers when shopping online.